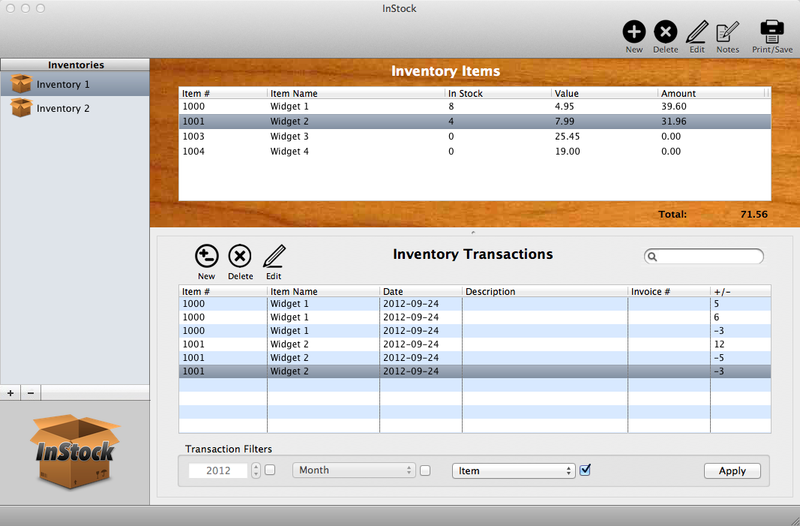 InStock is an inventory management solution aimed at businesses, collectors, and anyone else whose inventory consists of items without bar codes. Adding items to an inventory is simple and quick. Similarly, tracking changes to your inventory is a snap. With InStock you can have any number of independent inventories and track their items individually. Print out inventories or inventory adjustments (or both) in summary reports.